The original product that made us famous! Farm fresh eggs are available direct to the consumer or direct to local businesses. 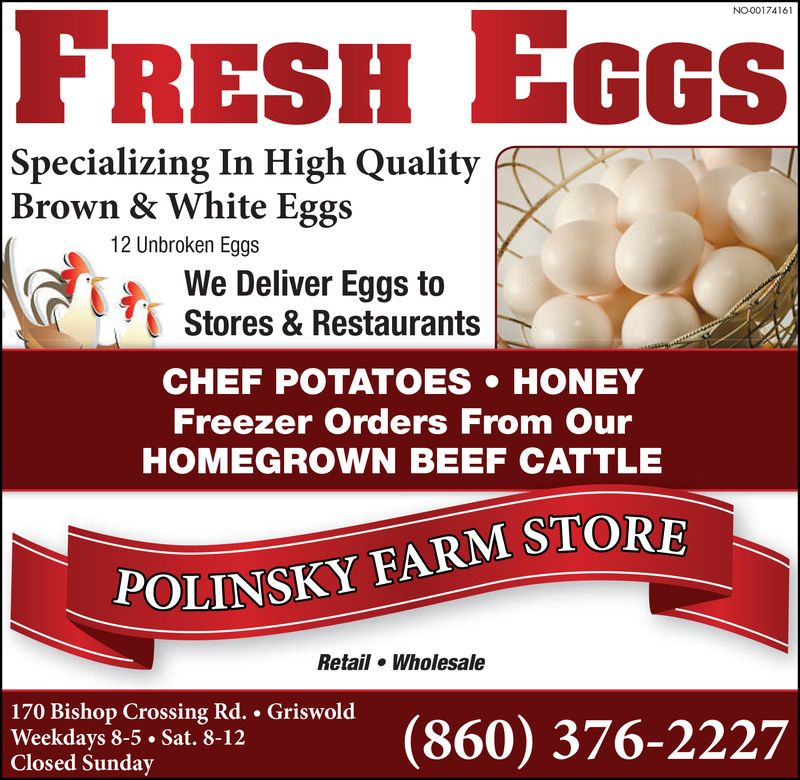 Polinsky Farms LLC has been a family-run business in the heart of Connecticut since 1922 when Samuel and Pauline Poinsky purchased the farm. For several decades the farm specialized in dairy and farm fresh eggs. In the past decade, we have expanded to include other products and services, but the quality of our eggs remains as high as it was in 1922. We do all the packing on the farm and ship to restaurants, convenience and retail stores, and directly to the consumer. Polinsky Farms supplies egg packaging and cartons to many small businesses that have limited ability to buy in bulk. Even other farms come to us to buy marketing products for their eggs. We supply packaging for egg sales. These are new, unlabeled egg cartons, flats, egg cases that come in 15 and 30 dozen. It makes no difference if you get a Polinsky brown or white egg; each is equally delicious and nutritious.